Hair Care cocoa butter – is it worth? Hair butter - what is it? Whenever you use the word 'butter' the first thing that comes to your mind is probably the product you eat – a yellow cube made of cow's milk. However, have you ever heard of cosmetic butter especially designed for hair and skin care? What exactly are these products? Let us start from the beginning. Cosmetic butter is a vegetable oil that below 25°C becomes solid (this is why it can also be called solid oil). Above this temperature, it melts and change into liquid. 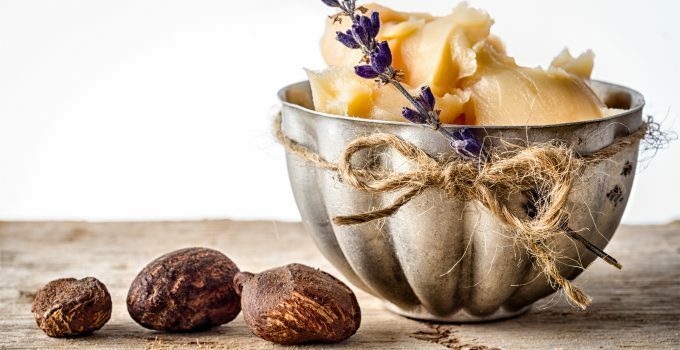 We can distinguish three types of cosmetic butter: natural, refined and organic. The natural ones are obtained by cold-pressing without any chemical purification methods. Plants that are used to produce them, grow on organic farms, which do not use any toxic pesticide. Refined oils are produced by cold pressing, but are refined. These products are not very resistant to heat and have a longer expiration date. While depuration, the butter loses its flavour and colour. Such cosmetics are specially recommended for allergic and sensitive skin. Organic butter is obtained in the same manner as natural butter and the redefined ones. Their manufacturer, however, is obliged to have certificates proving that the plants from which the product was made, were not fertilized or sprayed with chemicals, and oils or butter had not undergone any chemical reactions. Probably the most well-known cosmetic butter are Shea and cocoa butter. However, we can distinguish many others such as: avocado, coconut, macadamia, mango, palm, vanilla, combo, cupuaçu, babassu. Some of them may be better known as oils. Nevertheless, all of them are highly recommended in hair and skin care. If you really desire an in-depth care of the scalp, you need to choose the right cosmetics range. Hair butter will be perfect as a conditioning and nutrient product. Its properties and components should be created to meet our needs and expectations. Since the product has a strong moisturising and regenerating properties, it is especially recommended in the care of dry hair and sensitive scalp. Additionally, it protects strands with its moisturising coating that protects against solar radiation, pollution from the external environment, sea salt and mechanical or chemical damage. What is more, hair butter not only soothes the scalp, removes dandruff and psoriasis and regulates sebaceous glands but also smoothes, adds shine and prevents split ends. What is also important, it strengthens, nourishes and prevents hair loss. 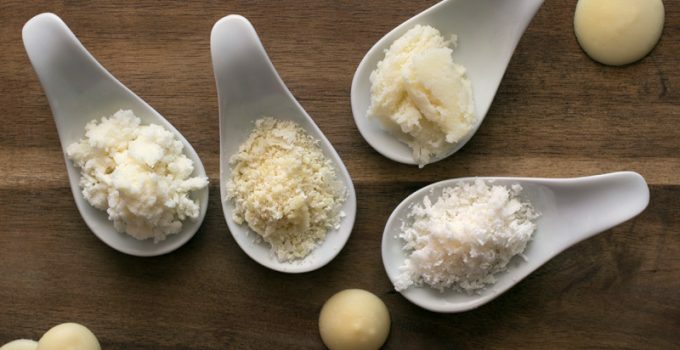 Every cosmetic butter contains a lot of valuable ingredients. These are mainly fatty acids, vitamins, waxes, allantoin, antioxidants. Thanks to all these components, both the scalp and hair are provided with an appropriate care and consequently, hair condition is improved. What is more, they have beneficial influence on internal and external structure of the hair as well as follicles and hair bulbs. In order to prolong its freshness and keep all the useful properties, it is important to store the butter in the refrigerator in a securely closed container. It is worth remembering that the product cannot be exposed to light, air and moisture. Before each application, only a small amount of the product should be heated. 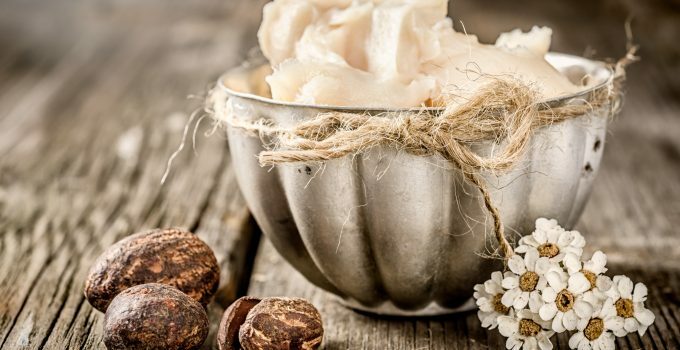 Top Cosmetic Butters: Shea, Jojoba, Coca and Coconut. How should you apply hair butter? Hair Care cocoa butter - is it worth? Copyright © 2019.